Helps minimize the loss of essential natural oils present in the scalp and hair. 4. Proksch E, Lachapelle JM. The management of dry skin with topical emollients - recent perspectives. Journal der Deutshen Dermatologischen Gesellshalf 2005; 3(2005): 768-774.
, a multifunctional ingredient, known to provide in-depth hydration to hair. is sourced from the rain forest, 100% natural, developed to improve the health of hair and scalp prone to flaking. Contains a natural antimicrobial ingredient. Beracare™ ADA System, a registered trademark of Beraca. Dandruff is a natural process caused by the turnover and renewal of skin on the scalp. It becomes a problem when dry white flakes become visible on the scalp. BERACARE™ ADA System is 100% natural, developed to improve the health of hair prone to dandruff and sebum. Sourced from the rain forest, its pure elements have anti-seborrheic, anti-inflammatory and natural germicidal properties. After 8 applications of product containing 1.5% BERACARE ADA System we can see a decrease in flakes on the scalp. reduction of the intensity of dandruff compared to initial state. of volunteers saw the effectiveness of the treatment of the product and reduction of the symptoms related to dandruff. BERACARE ADA System helps treat scalp and hair prone to sebum production, by removing dead skin cells. There are no apparent signs of irritation or redness on the scalp. DISCLAIMER: The following scientific references are provided for informational purposes only. MEDISCA makes no representations or warranties as to the accuracy or applicablility of the results reported except that these are reproductions of the study reports from the sources indicated. These reports are not intended to make claims for any products or ingredients contained in this brochure. All compounded products and the uses thereof are entirely at the judgment and discretion of the practitioner. 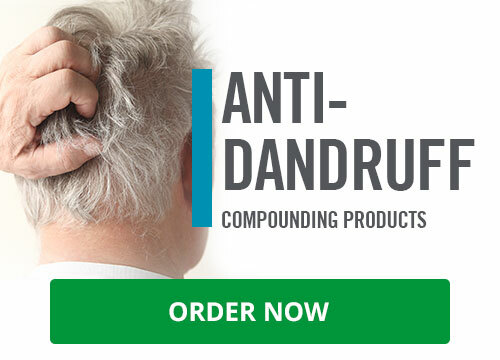 In order to determine the efficacy of ADA™ Shampoo, case studies were conducted on volunteers suffering from dandruff. For this study, participants were asked to avoid the use of any other hair care treatments for dandruff (including but not limited to capsules, tablets, lotions, shampoos, and foams) for 48 hours before the first application, and throughout the entire study period.